Snapped! Jonathan Groff in NYC Pride Parade! Loving the pics I’m seeing from Sunday’s NYC Pride Parade – especially this one. 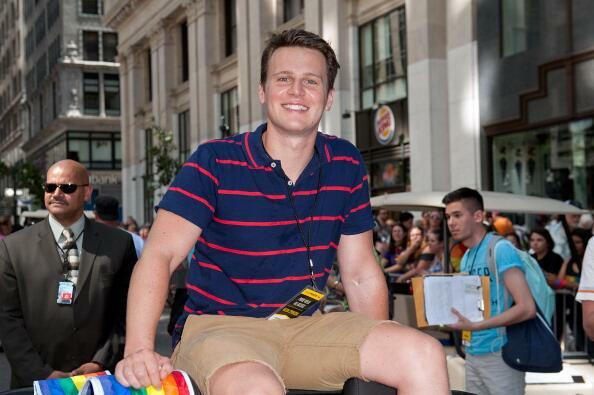 Jonathan Groff, the openly gay star of HBO’s Looking, rides in an open car as grand marshal. He is a shining example of a young actor coming out early in his career and becoming only more successful as time goes by due to hard work and tons of talent. A role model to many struggling with whether or not to be open about their sexuality for fear it will torpedo their career. I’m really disappointed with the lack of coverage of World Pride in Toronto. 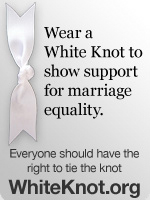 I know it’s not in the U.S. but it IS WORLD Pride. I’ve seen coverage of London Pride on other sites. There were two Los Angeles police officers that came to Toronto to participate in the festivities. They said it was invigorating to be in such an accepting place. I was moved by their comments. There were no “big name” stars in the parade but the spirit more than made for that.